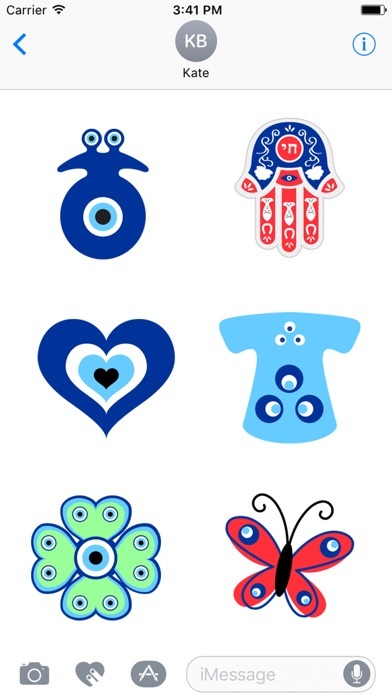 A glare, a look, a praise, an admiration may be the reason of your misfortunes and one of these “evil eye” stickers can be a sweet remedy. 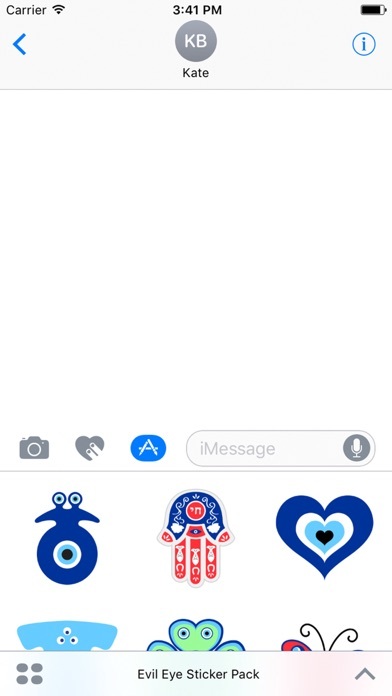 ---- Tips installing the stickers ---- • To access iMessage apps, compose a new iMessage to a friend. Tap the iMessage App Store icon alongside the compose field. 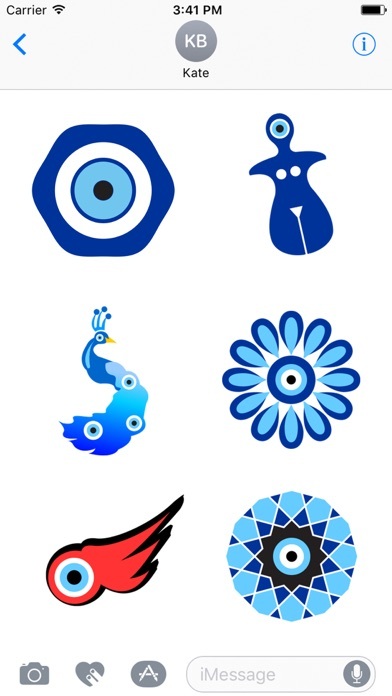 • Tap the four-oval icon on the lower left corner to open the app drawer. From there, tap the plus icon labelled “Store” to access the iMessage App Store. • In the App Store, tap the Manage tab in the top right corner to add your purchased apps to your app drawer. 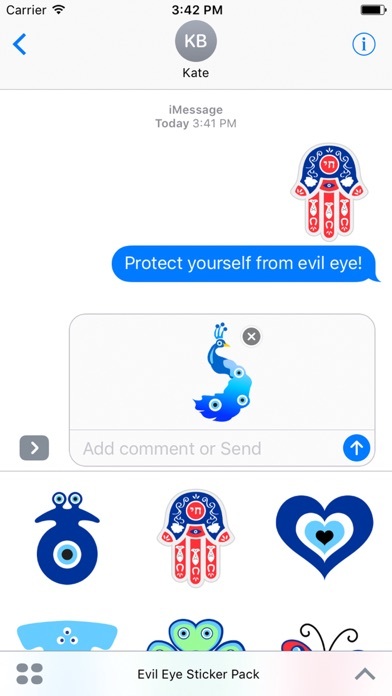 • Swipe left/right until you see the Evil Eye Stickers! ---- Tips using and sending stickers ---- • To use a sticker within a conversation, simply tap to send the sticker. • To place a sticker over a photo or just anywhere you want, touch and hold to “peel off” the sticker. Drag it into the iMessage thread to place it.